Which Kit Do I Need? This was a refill for first aid kit contents which were going out of date. 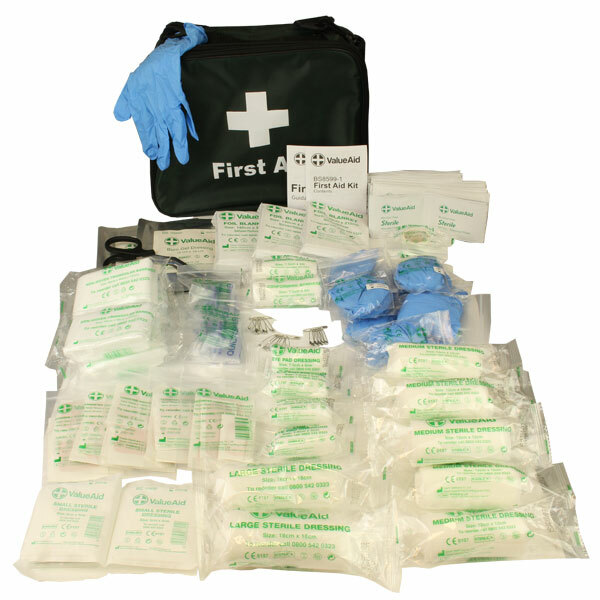 The product is what you would expect for a standard first aid kit for the workplace and the quality is as expected with everything properly wrapped, labelled and dated. 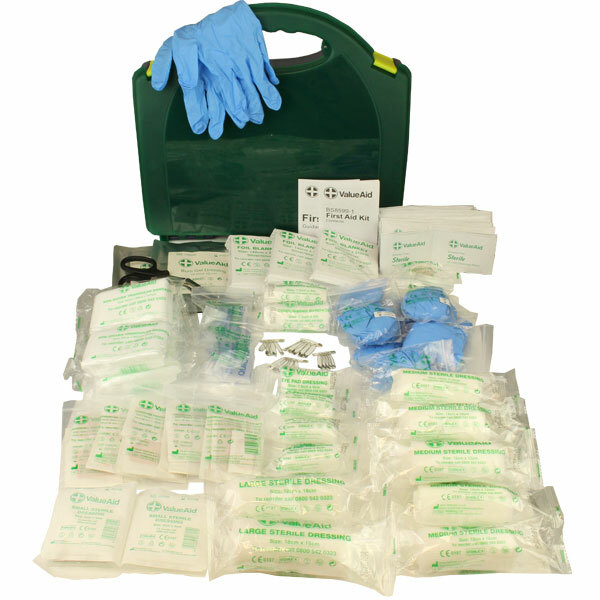 Fantastic and well stocked first aid kit, perfect for our small lab. Very well stocked bought to go in my husbands van, he is a mobile mechanic, always usefull. The first Aid kit is for a workshop. Perfect for our needs. I use this product for our village hall. It is ample for our needs. The quality seems very good. Good quality product, ideal for a small office environment. extensive kit. updates our youth group first aid. I am a baby massage instructor so I needed a small kit to take around to community venues with me, this is light to carry and compact. 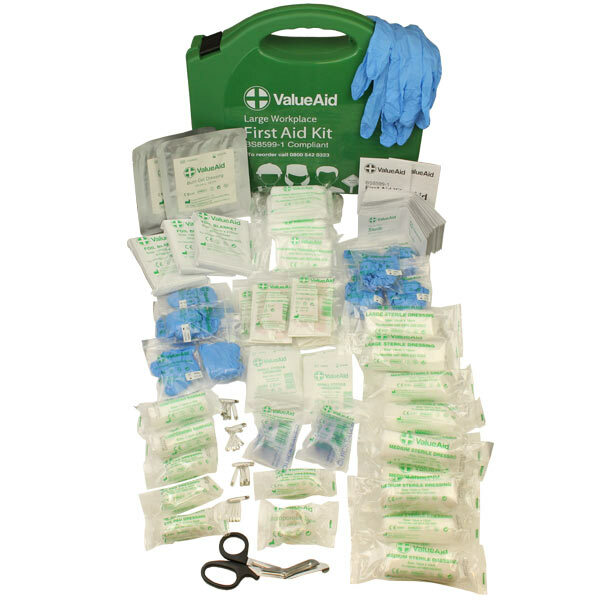 Very good big first aid kit, well stocked. I bought this to replace an existing first aid kit. It was easy to switch them over and there were long expiry dates on the products! Nice little kit. Ideal for our business (small bar / kitchen) with half a dozen workers. Brilliant and I would certainly let people know about FirstAid 4 Less. Great service -arrived next day as promised. First aid pack looks good quality - would use again. 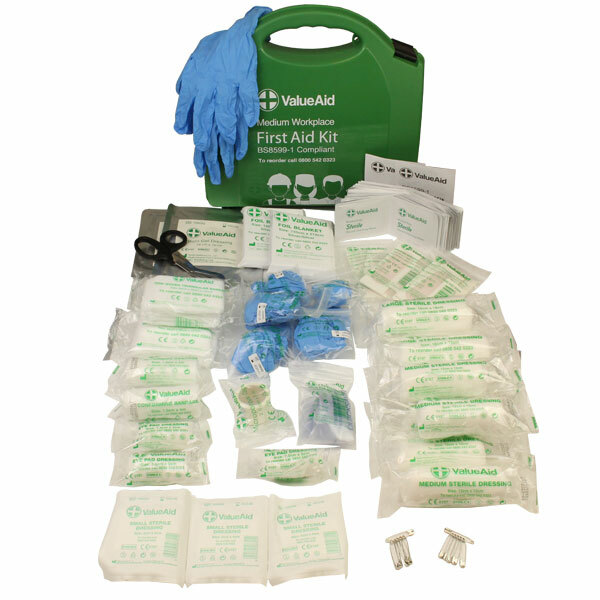 Use for one of our larger clients who wanted to have first aid kits replaced around their workplace. Goods as advertised, excellent quality and first class service. brilliant first aid box for the work place. was able to get everything we need for a brilliant price. Good strong box and wall hook for hanging very important for us as it will be on the side in a production area. would recommend to any small businesses. Comprehensive kit for our site manager (builder). Good value. Great Quality, have recommended to others. Good quality product and more than adequate for a small team of 7 Staff. Bought to restock our first aid box at home - it's like I've got my own hospital supplies now lol! Excellent service and quality! quality seems ok, will know better once it gets used more. We use these in our work place and the quality is good. We use these to refill work place kits. 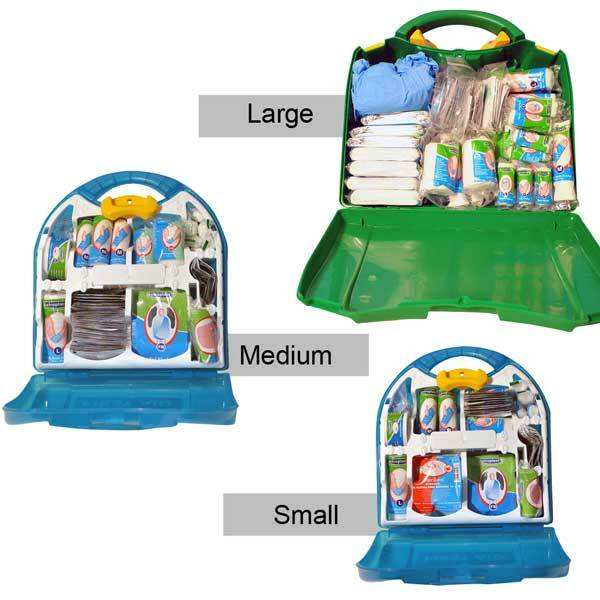 This is a comprehensively stocked kit that conforms to standards. Does the job, competitively priced. We run a mobile skatepark. The First Aid Kit refill is good. Used in laboratory eyewash stations - hopefully infrequently! Easy to use and ideal volume. The product will be kept on a construction site as a precaution. 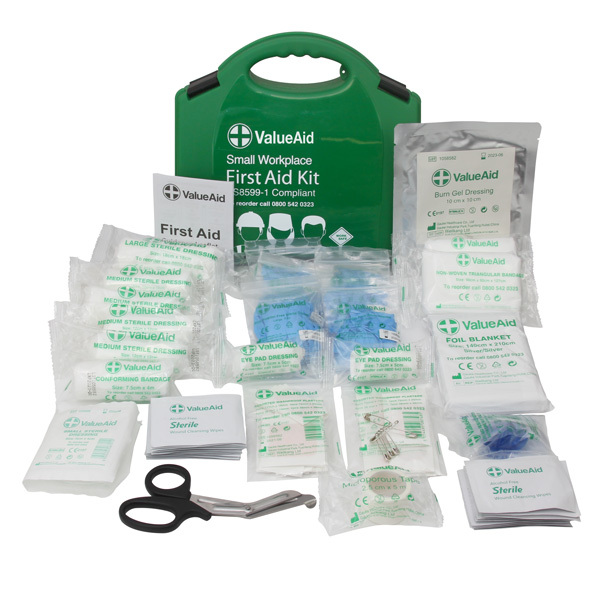 NEEDED A FIRST AID KIT AND HSE POSTER FOR SMALL BUSINESS IT WAS EASY TO FIND AND THE LAYOUT OF THE WEBSITE TOLD US EXCACTLY WHAT WE NEEDED. Great for a small workforce. Has everything you need in it and is compliant. Will recommend to other service providers.